VALDOSTA, Ga. — For the first time in its 15-year history, Paddle Georgia will cross state lines into Florida from Valdosta. Paddle Georgia is an annual canoe and kayak journey down state rivers hosted by Georgia River Network, said Joe Cook, Paddle Georgia coordinator. 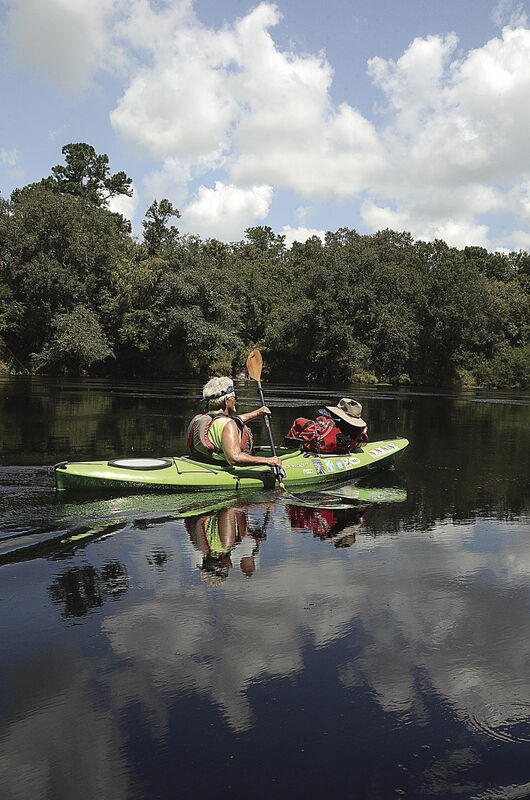 The 92-mile trip, taking place June 15-21, will begin at the Withlacoochee River in Valdosta and will meet the Suwannee River near Mayo, Fla.
Organizers will have a campsite at Grassy Pond Recreation Area from June 14-18. About 225 people have already registered for this year’s trip, but Cook said registrants are still being accepted. Participants can choose to paddle the entire week. They can choose to take advantage of the Paddle Lite option and journey the first two days or last two days. Adult registration is $425, $230 for youth ages 8-17 and $30 for children age 7 and younger for the week-long trip. Paddle Lite adult registration is $120, and youth registration is $70. Proceeds will be given to the Georgia River Network and the Suwannee Riverkeeper to help protect the Withlacoochee, Cook said. 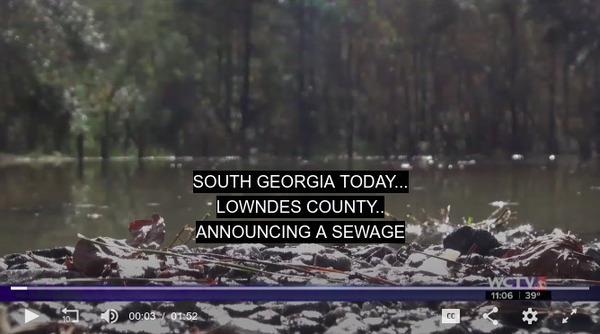 Last month [Actually December 20, 2018], the Georgia Environmental Protection Division began publishing all reported sewage spills across the state on a daily basis, something WWALS has been pushing for. 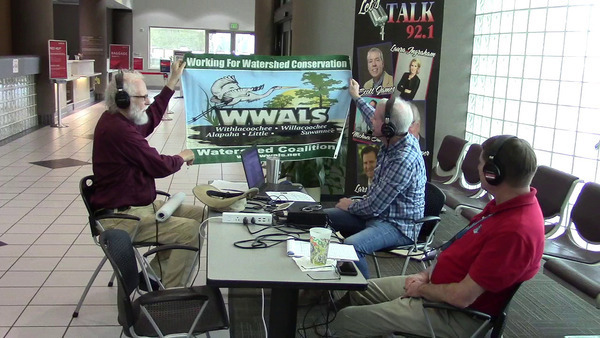 On WWALS TV radio Scott James and Valdosta Airport Executive Director James Galloway and I discussed alligators, karst limestone, and water levels on the Suwannee, Withlacoochee, and Alapaha Rivers…. BIG Little River Paddle Race Saturday, April 27, 2019, about 3 miles starting at Red Roberts landing. You can race or you can just paddle. Watch out for overhanging branches. Paddle Georgia, June 15-21, 2019, for the first time ever from Georgia into another state, on our Withlacoochee River from Troupville Boat Ramp. Yes, Scott James, or you, can join for a day. 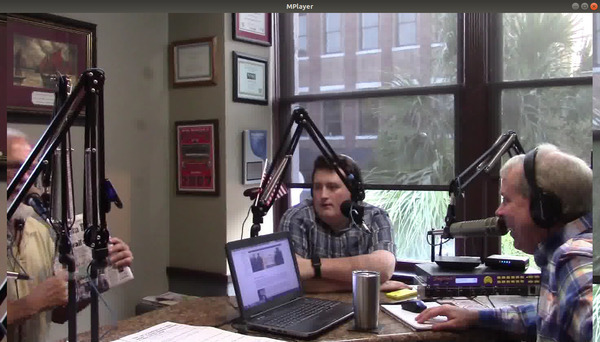 I invited him to broadcast from the river on the Suwannee Riverkeeper Aircraft Carrier. He said he might. and the Suwannee Riverkeeper Songwriting Contest, Saturday, August 24, 2019. And our winner from last year, Laura D’Alisera, will play June 21st at the Final Feast of Paddle Georgia, which WWALS is also catering via the Salty Snapper. 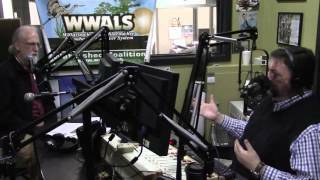 As a 501(c)(3) WWALS can’t support or oppose any specific candidates for election, but we can say Valdosta wastewater will be an issue in the mayoral election. Finally, thank you, Langdale Company for the key to Old Quitman Highway so we can take out below Spook Bridge on Paddle Georgia. Moving to the area three years ago, Jim McBrayer had his well near the Suwannee River in Hamilton County tested. It came back positive for E. coli, leading McBrayer to have a water infiltration system installed. Movie: Spills and Testing –John S. Quarterman, WWALS (211M); see WWALS video. John Quarterman, the Suwannee Riverkeeper and president of the WWALS Watershed Coalition, said while other cities do have spills, Valdosta had more spill locations in December than the rest of the state of Georgia combined, according to data from the Georgia Environmental Protection Division. “Valdosta, being the largest city in the entire Suwannee River basin by far, it also has the largest responsibility to fix its problems,” Quarterman said. HAHIRA — From the next-to-the-largest Suwannee River Basin city — Valdosta — to between some of the smallest — Mayo and Luraville — Paddle Georgia will bring 300 paddlers this summer to venture for the first time across the state line from Georgia to Florida on the Little, Withlacoochee and Suwannee rivers, June 15-21…. See WWALS press release for more information. Debra Tann and John Quarterman look at the site where water runs off from Moody Air Force Base. Photo: Derrek Vaughn, The Valdosta Daily Times. VALDOSTA — When Debra Tann learned Moody Air Force Base had been washing dangerous chemicals down the drain for more than 40 years, she was understandably concerned. The Lowndes County resident has lived less than two miles from the base for 24 years and wants to know if her water is safe. In May 2018, Moody released a report stating the base’s water was deemed safe by the Environmental Protection Agency, but Tann wanted to know if residents living near the base shared the same diagnosis. Fears of water contamination, both inside and outside of Moody, began after the release of a study conducted by the U.S. Army Corps of Engineers in 2016. 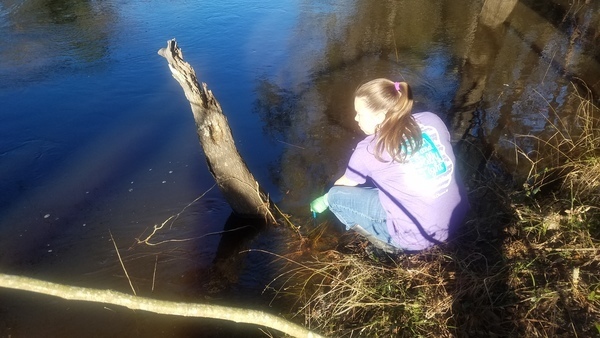 LOWNDES COUNTY, Ga. (WCTV) — More concerns about Withlacoochee River water safety arose after another sewage spill was reported in South Georgia. ATLANTA — Georgia River Network’s annual Paddle Georgia event is going out of state in 2019 as the organization celebrates its 15th year of serving up week-long canoe/kayak/paddleboard adventures. The statewide river advocacy organization announced earlier this month that Paddle Georgia 2019 will take place June 15-21 over 92 miles of the Withlacoochee and Suwannee rivers in far south Georgia and north Florida. It marks the first time that the annual event has crossed state boundaries. And, though the Withlacoochee travels through flat land, the river does offer up some shoals along its route and is flanked in places by high limestone bluffs. The Suwannee, which has its beginning in Georgia’s Okefenokee Swamp, is also characterized by limestone bluffs. Proceeds from this year’s event will support Georgia River Network and Suwannee Riverkeeper and the WWALS Watershed Coalition. Since its inception in 2005, GRN’s Paddle Georgia has introduced more than 4300 people to Georgia’s rivers while generating more than $430,000 for river protection. Your organization can still ask GA-EPD to tell everyone when anyone spills. 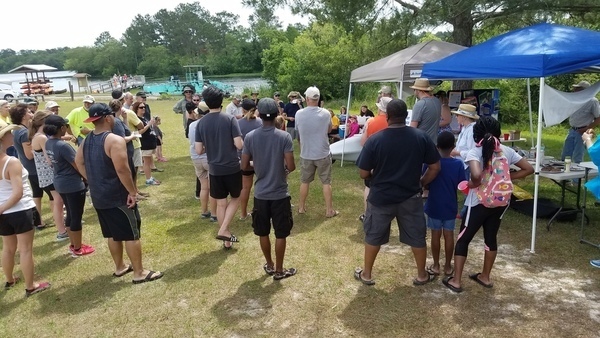 ALBANY, GA (WALB) – Georgia River Network’s annual Paddle Georgia event is going out of state in 2019 as the organization celebrates its 15th year of serving up week-long canoe/kayak/paddleboard adventures. Of Georgia’s 14 major river basins, half flow into neighboring states, including the Suwannee. Georgia has been embroiled in a 30-year dispute with Florida and Alabama over the use of the Chattahoochee, Flint, and Apalachicola rivers. Both the Withlacoochee and Suwannee are known for the breathtakingly cold and scenic blue hole springs that feed into the blackwater rivers. Along the paddling route, participants will have the opportunity to dip their toes— or their whole bodies— in no less than a dozen of these springs that boil up through karst limestone from the Floridan aquifer. The route will take participants near the towns of Valdosta, Quitman and Lake Park, Georgia as well as Jennings, Madison, Live Oak and Mayo, Florida. Organizers are still working to finalize accommodations for the journey’s first few days in Georgia. Paddle Georgia is regarded at the country’s largest week-long canoe/kayak camping journey with 300 to 400 people participating each year. The purpose of the trip is to raise awareness of Georgia’s rivers and raise funds to protect those rivers. Proceeds from this year’s event will support Georgia River Network and Suwannee Riverkeeper and the WWALS Watershed Coalition. Since its inception in 2005, GRN’s Paddle Georgia has introduced more than 4,300 people to Georgia’s rivers while generating more than $430,000 for river protection. Valdosta Utilities Director Darryl Muse said the city has treated about 2.2 billion gallons of sewer, recalling 300,000 to 400,000 gallons worth of releases. He said this puts the city at an over 99 percent success rate. “I think most industries would be okay with .2 of one percent failure rate, but we’re not. We’re still working diligently, we want to get that number down as low as we can,” Muse said. Others said that’s not enough. “Hopefully these are small hiccups on the path to getting a system that essentially works flawlessly. In the meantime, these problems are still occurring,” Potter said. 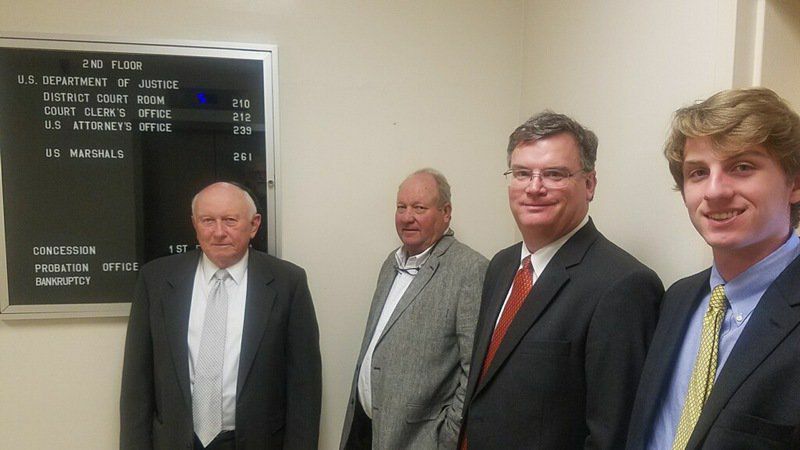 John S. Quarterman | Submitted Photo Lynn Lasseter and his attorney, Jonathan Waters, after a jury ordered Sabal Trail Transmission to pay Lasseter $103,385 in just compensation for land taken under eminent domain. 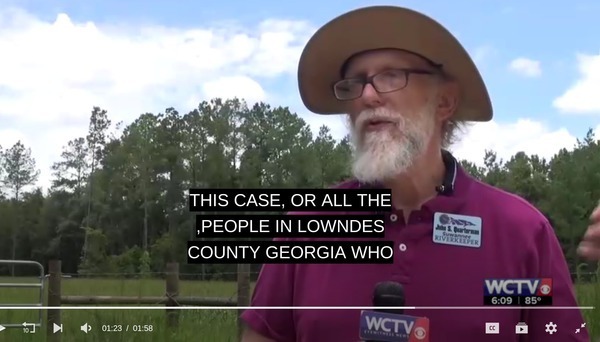 LOWNDES COUNTY, Ga. (WCTV) — Landowners and environmentalists in South Georgia are celebrating a small victory in a case against Sabal Trail. One Moultrie land owner was offered around $20,000 for an easement on his property. This week a jury sided with the land owner, deciding that was not enough. Sabal Trail is now ordered to pay five times that amount to the property owner; more than $103,000. They said small victories like these are reasons to keep fighting, and rid pipeline companies of their sense of inevitability. Environmental groups say they are raising money toward a lawsuit to be filed against the Federal Energy Regulatory Commission, charging that it is failing to regulate liquefied natural gas exports from facilities in Florida. 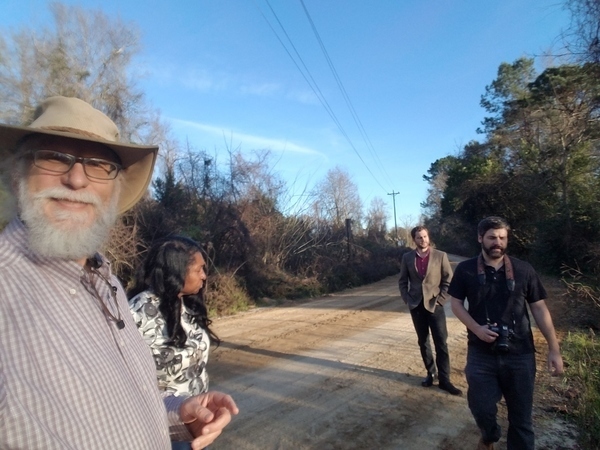 The WWALS Watershed Coalition, based in Hahira, Ga., is among the groups challenging the legality of the 515-mile Sabal Trail Transmission LLC pipeline, which was built in 2017 to move gas through Alabama and Georgia to Central Florida. The group says LNG shipments on Interstate 75, and from the Sabal Trail pipeline to export facilities in Florida, pose risks to communities. …“Without the certificate, they cannot operate,” says John Quarterman, president of the WWALS Watershed Coalition…. Georgia Riverkeeper groups are asking a federal agency to shut down the Sabal Trail natural gas pipeline. 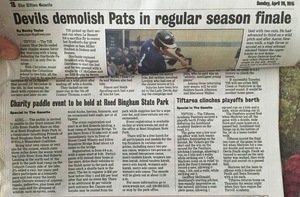 Photo: Albany Herald. If Georgia Power does not need new energy, why is it building two new nuclear units at Plant Vogtle and charging its customers in advance every month? Four years ago…. Is this a good use of Florida local and state law enforcement? Protecting an invading, unnecessary, pipeline from the unarmed public? The pipeline’s first phase is supposed to provide service to Florida Power & Light to meet the start of its peak cooling season, Grover said. Note Ms. Grover’s careful phrasing “to meet the start of its peak cooling season”. She’s backed off from Sabal Trail’s previous claim that its gas was needed to meet peak summer demand, perhaps because, as WWALS spelled out before the gas was turned on, and as an analyst on a leading stock blog has now determined because the gas is flowing, there was no need for Sabal Trail; all it is doing is reducing gas flowing through FGT and Gulfstream with no net increase into Florida…. The 515 mile underground pipeline spans twelve Florida counties, and runs through the heart of the state’s springs country. Suwannee Riverkeeper John Quarterman is worried how the underground natural gas line could affect the state’s signature waterways and springs in the area. He’s concerned pollution from the project, like road runoff and drilling mud, could ultimately seep through the porous limestone into the subterranean waterways that make up the Floridan aquifer. That’s the water source for some 10 million people. “The nature of the springs in the springs heartland of Florida is, not just down at the levels where the aquifer are, but right up at the surface, there’s cracks all through this limestone,” Quarterman said. Quarterman says activists will continue to monitor the project for possible leaks or sinkholes. “I see no reason why anyone should accept any risk to the outstanding Florida waters, the Suwannee River, the Sante Fe River, the Withlacoochee South River, or of course to our Withlacoochee River in Georgia,” he said. That same day the worldwide Waterkeeper Alliance, which opposes the pipeline, called for an overhaul of FERC at the U.S. Congressional level. The agency is funded through costs recovered by the fees and annual charges from the industries it regulates. 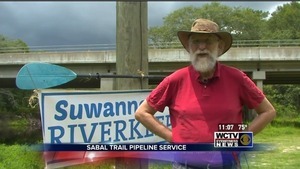 John Quarterman, head of the WWALS Watershed Coalition — which advocates for the Withlacoochee, Willacoochee, Alapaha, Little and Suwannee River watersheds — has fought the Sabal Trail pipeline since it was first announced in 2013. He points to many different incidents in which the pipeline company has damaged the environment and the people in the communities it goes through. He documented these offenses on WWALS’s website. The real kicker, Quarterman says, is that the reason the utilities gave for needing the pipeline is completely bogus. “This pipeline is totally unnecessary and [its unnecessary nature] was admitted to by Florida Power and Light. They stated in their 10-year plan they submitted to the Florida Public Service Commission (PSC) in 2013 [that Florida needed 13% more electricity in the coming decade, and they used that claim to sell Sabal Trail to the PSC and to FERC. Yet FPL contracted that in its 2016 Ten Year Plan, which said Florida needs] no new electricity capacity until 2024 at the earliest.” Quarterman told Truthout. The text in [square brackets] is my correction of a typo in the article. Thereâ€™s news from the Wwals Watershed Coalition and the Annual Big Little River Paddle Race. Dwight Griner of Berrien County took the first place honors for the fifth time. Organizers report that prizes were handed out to a dozen other boats and this yearâ€™s participation set a new record. Tifton and Tift County had the most paddlers; other racers came from Moultrie and Colquitt County. Lowndes had the second highest number of paddlers, with others coming from Cook, Houston Harris and Thomas Counties. On May 17 Houston-based Sabal Trail had asked the Federal Energy Regulatory Commission for permission to start sending gas through the pipeline by today — May 26. Also Friday, the Georgia-based WWALS Watershed Coalition asked FERC to deny all requests to place the pipeline into service, and said FERC should revoke the permit and shut it down. The Sierra Club recently asked FERC to delay the pipeline’s operation until after pending litigation is resolved. 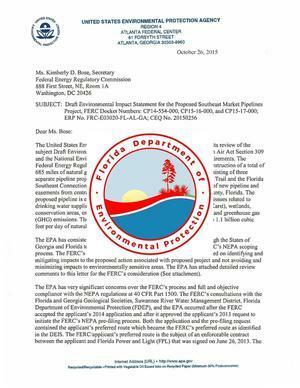 FERC has yet to act on either of Sabal Trail’s start-up date requests or on The Sierra Club’s request. WWALS president and Suwannee Riverkeeper John S. Quarterman said Friday, â€œIt’s not too late for FERC to do its job and actually evaluate all the new evidence that has come to light. Even more, FERC should look at how the world has changed since 2013, now that solar power has won the economic race. â€œEven Florida Power & Light, whose customers are on the hook for the $3.2 billion, admits Florida needs no new electricity. That means there is no need for this Sabal Trail pipeline boondoggle. There are many more reasons of water, agriculture, and economy, but the sheer lack of need alone should be enough reason for FERC to shut Sabal Trail down,â€ Quarterman said. John S. Quarterman, Progress for All, 19 May 2017, Natural Gas is Going Down Like Coal and Kodak: Let the Sun Rise! There is no reason any of us should risk our lands, water, or safety for utility and fossil fuel company profit. Business models change as fast as cameras became digital and Kodak went under. As fast as the Internet and personal computers rose. As fast as mobile phones spread and even faster smartphones are everywhere. As fast as big coal companies went from kings to a tenth of their market cap. Natural gas is going down next. With nationwide Hands Across the Sand this weekend Suwannee Riverkeeper will â€œSay NO to dirty fuels and YES to clean energy. 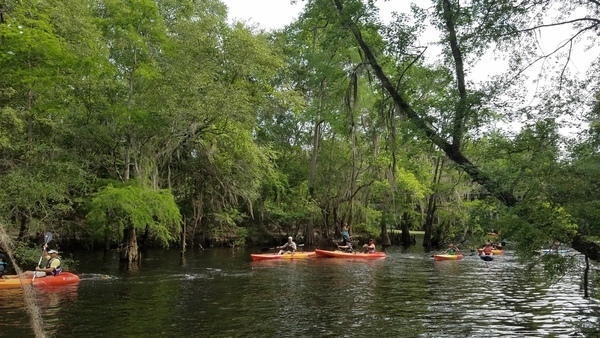 The public is invited to join the four hour outing four hours this month down the Suwannee River from Woods Ferry Tract Launch to Suwannee Springs. Start time is at 9AM. For more information call 850-290-2350 or 229-242-0102. The friends of Reed Bingham State Park and the Watershed Coalition invite you to come and paddle a canoe or kayak in the fifth annual BIG Little River Paddle Race on Saturday, April 29, 2017.This year the lunch included afterwards will be grilled at the park, and there will be a silent auction. This family friendly event takes participants 3 miles down a scenic section of the River from Red Roberts Landing at to the park boat ramp on the Colquitt side of the lake. Although called a race, paddlers may also participate at their own pace. Registration is from 8-9 a.m. and the start of the river trip is at Red Roberts landing, a boat ramp at Rountree Bridge. To get there from I-75 take exit 41 and turn in front of Horse Creek Winery and follow Rountree Bridge road about 4.8 miles to the bridge. For registration and rental fees, vehicle parking charges and to make reservations go to www.wwals.net or the office at Reed Bingham State Park. Call 229 392-5513. The Friends of Reed Bingham State Park and WWALS Watershed Coalition invite the public to come paddle a canoe or kayak in the fifth annual BIG Little River Paddle Race on Saturday, April 29. This year the lunch included afterwards will be grilled at the park, and there will be a silent auction. Registration is from 8-9 a.m. with a mass start planned shortly thereafter. For fees and other information call 229-392-5513. Tifton Gazette, 28 April 2017, page 8A (not online), pictured. Well, I said it’s a boondoggle for the utility, namely FPL, at the expense of its customers. Here’s why I say that, including that FPL admitted in its 2016 Ten Year Plan that Florida needs no new electricity until 2024 at the earliest, contradicting FPL’s 2013 excuse for Sabal Trail. 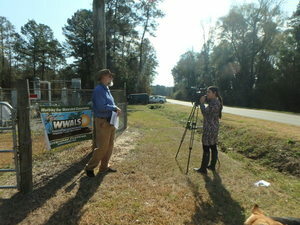 Brian Fahrenthold and Andrea Grover of Spectra Energy and John S. Quarterman on WALB, in Spectra speaks about Sabal Trail pipeline at Lowndes County Commission, by Robert Hydrick, for WALB TV, 9 December 2013. Molly Minta, The Fine Print, 5 February 2017, Rise Against the Machine: In 2013, Marion County residents began to receive letters from Sabal Trail Transmission. 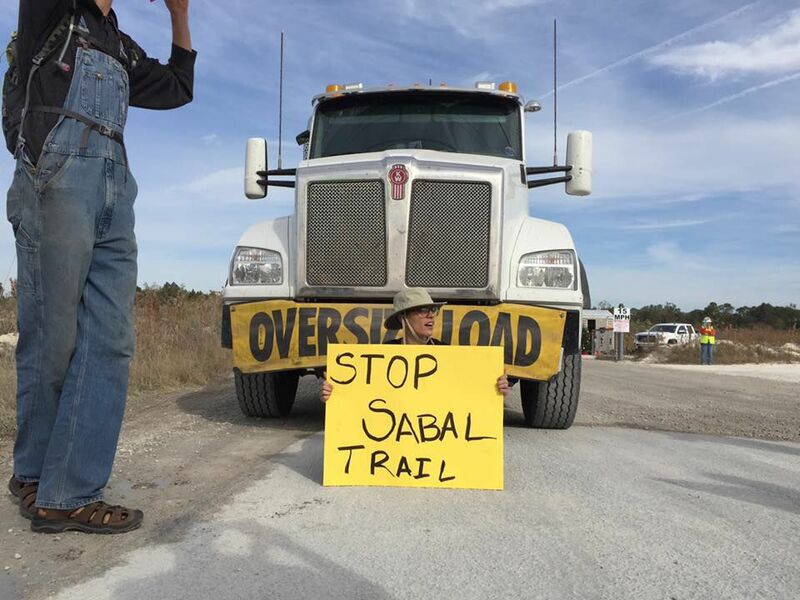 Now, they’ve made it their mission to save their land, and stop Sabal Trail. An oak tree is felled by Sabal Trail construction workers. But those opposed to the pipeline don’t just have to take on corruption at the state level. The Federal Energy Regulatory Commission, the agency that granted Sabal Trail eminent domain and which oversees interstate pipeline projects, is supposed to regulate the natural gas industry and hold the companies accountable. Activists, however, contend that it does just the opposite. 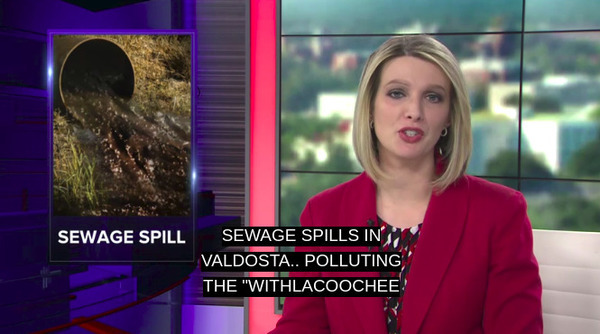 “The whole system is corrupt from top to bottom,” said John Quarterman, president of the WWALS Watershed Coalition, which stands for the Withlacoochee, Willacoochee, Alapaha, Little and Suwannee rivers. He said that though FERC receives money from Congress every year, it’s self-funding, which means that it is authorized by the government to collect annual fees from the industries it regulates. FERC is the only independent executive agency in the United States with this kind of authority. In essence, Quarterman said, the agency is susceptible to being bought out by the natural gas industries. As authorized by statute, including the Omnibus Budget Reconciliation Act of 1986, the Commission recovers the full cost of its operations through annual charges and filing fees assessed on the industries it regulates. This revenue is deposited into the Treasury as a direct offset to its appropriation, resulting in no net appropriation. …breaking news, if you will. John S. Quarterman has been selected as the Suwannee Riverkeeper. If you’re not familiar with the Riverkeeper role, it’s part of a bigger organization called the Waterkeeper Alliance. It’s a sort of, it’s a way to formalize the care of these rivers, and also these people are river warriors, out there documenting things and providing the type of information we need to know if somebody is not in compliance or if something is not right. They basically are boots on the ground. I have not met John personally, but I have interacted with him a lot and I’ve read a lot of his work. He runs WWALS Watershed Coalition webpage which is extremely informative; very well-vetted information and I use it a lot when I am trying to clarify things. So this guy he’s a great addition to what we’re trying to do here. Well, not an addition; he’s been here all along, but he’s now been given an official role on the Suwannee River. So I just want to send a shout-out to him and let you all know that river is now in good hands. 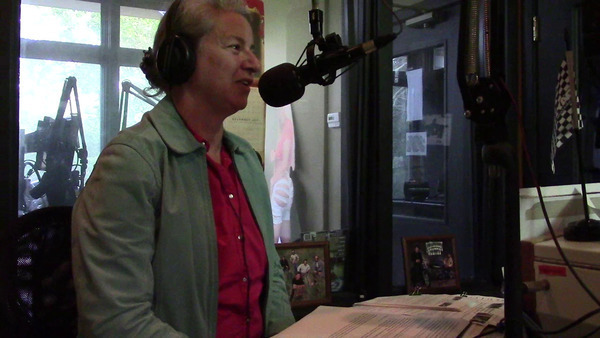 Debra Johnson is called the mother of the Sacred Water Camp and is a member of the WWALS Watershed Coalition, a volunteer organization that aims to protect rivers in southern Georgia and northern Florida. 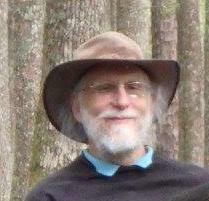 John Quarterman, president of [… WWALS] Watershed Coalition, recalled that Sabal Trail representatives, when pressed at public hearings, maintained that, as a pipeline company they had no idea where gas going through their pipes might end up, a claim that he and other activists find hard to believe. Chris Pedersen, writing for the industry publication OilPrice.com in October 2014, wrote that Transco and Sabal Trail pipelines could be used to explore new overseas markets for Utica and Marcellus Shale gas. Additionally, the HDD site on the Withlacoochee River in Georgia, which is also currently being drilled, has been found in violation for pressure cracks that allowed drilling fluid to migrate upward into the river and likely into the Floridan Aquifer to contaminate the water. The company says the sinkhole, which appeared Nov. 5, has nothing to do with the Nov. 17 incident, in which drilling mud penetrated the Withlacoohee River from operations below. Doesn’t Sabal Trail’s $3 billion dollar pipeline connect those two items? Even in the phases of construction, environmentalists in Georgia discovered that the Sabal Trail pipeline had started leaking drilling mud from a pilot hole into the Withlacooche River in late October, and continued to ooze turbid mud for at least three weeks. 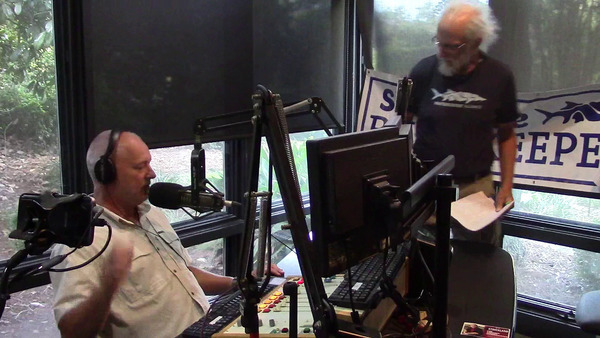 Environmental advocates from the WWALS … Watershed Coalition raised concerns that if a pilot hole could cause such a leakage, what could happen once full-scale directional drilling was occurring? Hm, that’s a month after their previous May 2017 in-service date. WWALS Watershed Coalition sponsored the demonstration. Members and demonstrators met in the median of Highway 84 at the Withlacoochee River Bridge to listen to the Georgia Water Coalition’s “Dirty Dozen 2016” conference call. Written by Georgia Water Coalition, a group of more than 230 organizations including Altamaha Riverkeeper, Apalachicola Riverkeeper, Chattachoochee Riverkeeper, Flint Riverkeeper, Ogeechee Riverkeeper, Satilla Riverkeeper, Savannah Riverkeeper, St. Marys Riverkeeper, and WWALS Watershed Coaltion, a Waterkeeper Affiliate. Georgia’s leading water coalition named its â€œDirty Dozenâ€ for 2016, highlighting 12 of the worst offenses to Georgiaâ€™s waters. The annual Dirty Dozen shines a spotlight on threats to Georgiaâ€™s water resources. 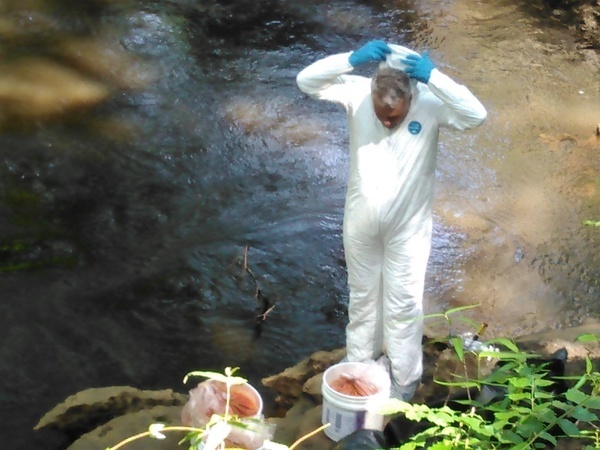 It also highlights the polluters and state policies or failures that threaten the health and safety of Georgiaâ€™s waters. Nine Riverkeepers and Affiliates are members of the Georgia Water Coalition. TALLAHASSEE — Environmentalists are raising concerns over a drilling mud discharge last month from a natural gas pipeline being dug under the Withlacoochee River in Georgia that could damage the river and downstream springs in Florida. The criticisms come as Native Americans have drawn national attention to their opposition to the Dakota Access Pipeline in North Dakota, and 14 people protesting the pipeline in Florida were arrested Saturday in Gilchrist County of disorderly conduct and other charges. Sabal Trail Tranmission company officials said the discharge in the Withlacoochee River was cleaned up as they installed a floating yellow turbidity curtain, similar to an oil spill boom, to prevent the spread of two gallons of drilling mud. The river flows into Florida 15 miles downstream and eventually into the Suwannee River. The Georgia Water Coalition on Wednesday listed the Sabal Trail pipeline on its annual “dirty dozen” list of threats to rivers in the state. Several of those rivers, including the Chattahoochee, Flint and Withlacoochee rivers, eventually flow into Florida. “There is no excuse for this pipeline and it is massively destructive,” said John Quarterman. “Sabal Trail told us in a legal case in Florida that we would never, it couldn’t happen that drilling would cause things to bubble up in the area. It happened right over there just 2,000 feet up stream,” said Quarterman. WWALS Watershed Coalition works to protect…. WWALS member Chris Mericle inspecting the leak site. A leak in the shaft for a natural gas pipeline beneath a Georgia river has reinforced environmental worries at Florida’s Suwannee River and other waterways in the pipeline’s path. The leak into the Withlacoochee River near Valdosta, Ga. underscored earlier concerns about twin hazards from the Sabal Trail pipeline: that pipeline shafts could leak contaminants into rivers, and let river water escape through cracks in the area’s sinkhole-riddled bedrock. “What they said couldn’t happen did happen,” said John Quarterman, president of the WWALS Watershed Coalition, Inc., a group fighting work on the 515-mile pipeline planned to cross three states. John Quarterman of WWALS organized and executed today Oct. 22, 2016 a flight along the Sabal Trail construction zone along the Suwannee basin. Flight covered was from the Santa Fe River crossing south of Branford to Moultrie, Georgia. Corridor covered from Suwannee, Hamilton in Florida to Lowndes, Brooks and Colquitt Counties in Georgia. Hats off to John Quarterman for the organizing, research and execution, and also to Roy Zimmerman, volunteer pilot from Deland who gave his time, use of aircraft and aviation gas. Additional crew was Dominic Gheesling, professional photographer and your historian from OSFR. Look for the well-researched, heavily-documented, link-laden WWALS post soon to come out. Thank you John, for this opportunity. Merrillee Malwitz-Jipson, with the Sierra Club, stopped by the protest early Monday morning. She has been one of the most active voices against the Sabal Trail pipeline. She mentioned that Sabal Trail was granted a permit from the Federal Energy Regulatory Commission based on a Environmental Impact Statement (EIS) completed by the company. Many other protest groups have criticized the EIS as inaccurate and deceptive. Along with the WWALS Watershed Coalition, Malwitz-Jipson has fought to have the Army Corps of Engineers do its own EIS with little success. The protesters are working on growing their numbers and plan on staying at the encampment for as long as they can. “This is the last gasp of the dying fossil fuel industry….now that there are more solar power jobs than in all of oil and gas extraction,” John Quarterman, President of … WWALS Watershed Coalition in south Georgia and north Florida, told Atlanta Progressive News. “Solar is the least expensive of all power sources, does not require three years to permit it, doesn’t require eminent domain, and [you] can install a big solar plant in a few months,” Quarterman said…. “We are taking risks with our sole source of drinking water,” Quarterman said. “What we are seeing is short-term profiteering at the expense of our water, our environment, and our property rights,” Quarterman said. With permits in hand, the companies behind Sabal Trail applied to FERC to start construction on or before Aug. 17. FERC already approved the pipeline project in February and now is looking at whether the companies behind Sabal Trail met all conditions of that approval before green-lighting construction. In an email, Spectra Energy spokeswoman Andrea Grover gave a target date of “late August” to start construction. She said the more than 500-mile route will be divided into five segments and construction on each will start simultaneously. The company is engaged in authorized pre-construction activities such as surveys and gopher tortoise trapping and relocation, Grover wrote. Already, pipe is being stored in an area north of Lake City, a fact made public by the WWALS Watershed Coalition, a south Georgia and north Florida group opposed to the pipeline project. The group argued that the storage yard was not an allowed pre-construction activity. 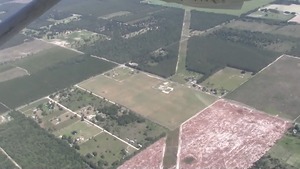 The Army Corps of Engineers did not grant a request from the Madison County Commission in north Florida to further review potential environmental impacts of Sabal Trail’s main line, including “a site inspection to determine the actual proximity of active sinkholes and other features of the aquifer and cave systems to the proposed pipeline route,” records posted on the WWALS Watershed Coalition Web site showed. Madison County commissioners noted that the pipeline passes through neighboring Hamilton County near the Withlacoochee River and expressed concerns about potential pollution to the river, area wells and Madison Blue Spring, either from construction or a possible pipeline leak later. The U.S. Army Corps of Engineers declined the commission’s request, saying information already gathered about the project is sufficient for them to make an accurate evaluation. An unusual meeting today, Tuesday, August 9, 2016 at the Live Oak headquarters of SRWMD. Unusually long, as it continued well into the afternoon after lunch. The reason for this was that the public comment did not finish until almost 12 o’clock. And the reason for that, was that a large group from Gainesville, Fort White, Madison, Hamilton County, and Valdosta, GA came to express their concerns to the governing board. No fewer than 11 people spoke, mostly against the pipeline company which has pushed relentlessly into Florida and run roughshod over landowners, falsified its reports to FERC and brazenly trucked its pipe illegally into Florida before obtaining the required permit. Before and after the board voted, concerned citizens spoke against the board taking any money. Sabal Trail is a controversial topic due to the proposed pipeline that would cut through Suwannee County and the Suwannee River. The proposed route of the pipeline has come under scrutiny from various watershed groups including the … [WWALS] Watershed Coalition. In an escalating effort to block the controversial Sabal Trail natural gas pipeline, opponents are asking the U.S. Army Corps of Engineers to examine allegations that information about potential environmental hazards was overlooked during the regulatory process…. 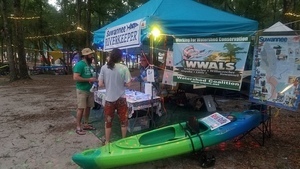 The WWALs Watershed Coalition, whose name is an acronym for the watersheds of the Withlachoochee, Willacooche, Alapaha, Little and Upper Suwannee rivers, has spearheaded environmental opposition to Sabal Trail. 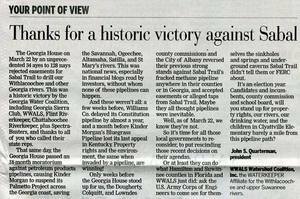 The Sabal Trail pipeline project is not a done deal. Since January, there has been a momentum in Georgia and Florida to oppose this natural gas pipeline from citizens, officials and environmental groups because of very serious concerns. 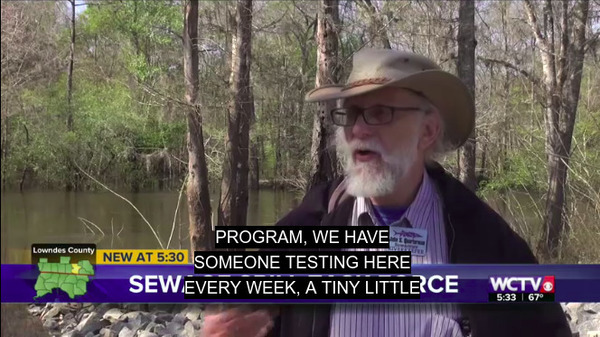 Members of the Suwannee St Johns Sierra Club and [WWALS] … Watershed Coalition led a hike in the Suwannee River State Park to show how the area tagged for construction is full of sinkholes and how the Sabal Trail documentation is flawed. 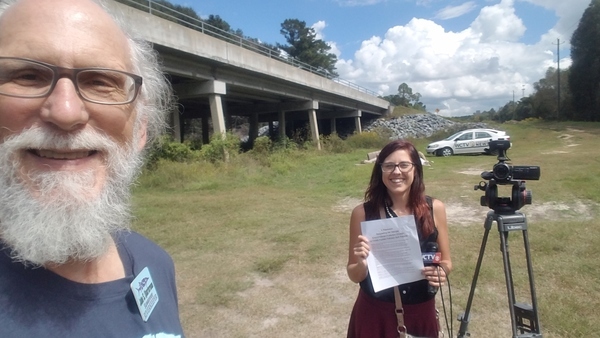 Johanna deGraffenreid, wetlands advocate with the Gulf Restoration Network, is coordinating efforts to make sure the public and our elected officials have the right information on the Sabal Trail project. VALDOSTA—The proposed Sabal Trail natural gas pipeline has some residents concerned with property values, environmental impact and a plethora of other issues. John Quarterman, speaking on behalf of the WWALS Watershed Coalition, has requested the county rescind its Sabal Trail agreement and stop the sale of easements to Spectra Energy. Quarterman is leading the charge to prevent pipeline construction and publicly opposed a decision by the Lowndes County Commission to sell the easements. LIVE OAK, Fla. — Local residents and half a dozen environmental organizations want applicants at Sabal Trail pipeline job fairs to know a job for a few weeks isnâ€™t worth risking drinking water for all our families and children and grandchildren. Opponents of the Sabal Trail fracked methane pipeline and supporters of solar power include the Suwannee-St Johns Sierra Club Group, St Johns Riverkeeper, WWALS Watershed Coalition, Our Santa Fe River, Earth Ethics, Gulf Restoration Network, and SpectraBusters. Like everywhere else, fighting oil and gas in Florida increasingly means taking on big pipeline projects. The biggest and most hotly contested of all is the Sabal Trails Transmission Pipeline, proposed to run over 500 miles from Alabama through Georgia to Florida, and include at least five compressor stations along the way. The gas would be used to generate electricity and supply industries through two utility companies, Florida Power and Light and Duke Energy of Florida. The Sabal Trails Pipeline, which would cross numerous conservation areas, wetlands, rivers, and aquifers, has engendered strong resistance from watershed protection groups [WWALS], environmental advocates [Sierra Club], and residents [SpectraBusters] along the proposed route. 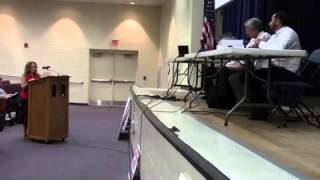 Tonight, April 5, 2016, the Suwannee County board of commissioners voted to send a letter to the Army Corps of Engineers expressing their concerns regarding the study for the proposed Sabal Trail pipeline. As outlined in our post â€œHas Sabal Trail Withheld Vital Information?,â€ another geological study done by someone not paid by Sabal returned very different conclusions. Tuesday April 5th Suwannee County voted 4 to 1 , with chairman Bashaw dissenting, to send a letter requesting that the Corps perform an independent environmental study concerning the geological omissions Sabal Trail withheld from their Environmental Study submitted to FERC to receive a permit to bore under the Suwannee River. 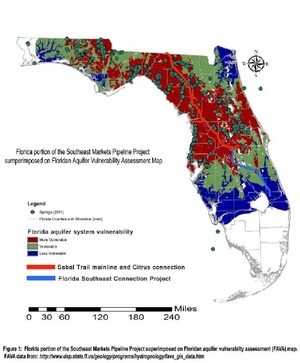 After comparing Sabal Trailâ€™s EIS with that of local geologist Dennis Price, Chris Mericle discovered omissions and discrepancies in this report endangering the Floridan Aquifer which supplies 60% of Floridaâ€™s water supply as well as endangering millions of citizens and hundreds, if not thousand, of springs. 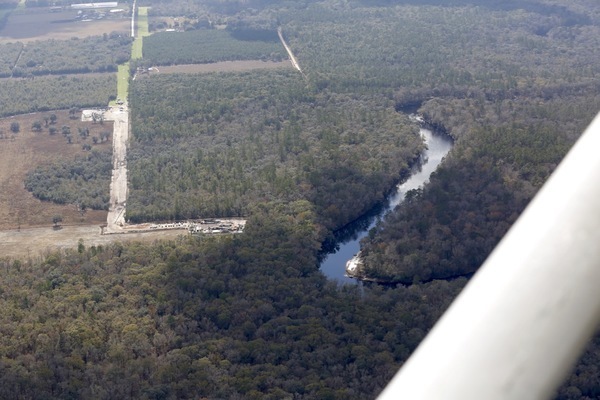 Sabal Trail submitted information for the pipeline permit to FERC stating the closest sinkhole to the pipeline route boring under the Suwannee River would be 750â€² from the pipeline which is not true. Commissioner Wainwright and other BOCC officials discovered one active sinkhole 75â€² from the 36â€³ fracked gas pipeline. In fact there is a sinkhole smack in the middle of the pipeline route with sinkholes covering the entire area. Price, Mericle, and Johnson are WWALS members; Mericle is a WWALS board member. At its next meeting, the commission will consider sending a letter to the U.S. Army Corps of Engineers, which must issue a permit for the pipeline project. The letter would mimic one Hamilton County recently voted to send, said Suwannee County Commissioner Wesley Wainwright…. Several local residents, in addition to environmental groups, oppose the pipeline. One of the concerns, which has been brought up repeatedly by groups such as WWALS Watershed Coalition, is the sensitive nature of Florida’s geology…. The Suwannee County Commission have its next meeting 6 p.m. Tuesday at the Suwannee County Judicial Annex, 218 Parshley St. SW. The link on groups goes to http://spectrabusters.org/allies/, and of course WWALS has long been a SpectraBusters Ally. A coalition of environmental groups has been fighting the project for more than a year. After the state Board of Natural Resources approved easements last fall, Sabal Trailâ€™s opponents came up with a strategy for the legislative session. Thatâ€™s the Georgia Water Coalition (GWC), which includes Waterkeeper® Alliance members Flint Riverkeeper and Chattahoochee Riverkeeper and Affiliate WWALS Watershed Coalition, along with Sierra Club, environmental law firm Greenlaw of Atlanta, Georgia River Network, SpectraBusters, and other groups and individuals too numerous to mention, on the statehouse floor in Atlanta, calling and emailing legislators, letters to the editor, and blogging on the Internet, facebook, twitter, etc. ; see WWALS writeup, and about Sabal Trail see the Dirty Dozen 2015,in which GWC listed Sabal Trail for the second year running, at the nomination of WWALS. The Georgia House on Tuesday soundly rejected a controversial measure to grant easements to a Houston-based energy company to build a methane gas pipeline through parts of South Georgia. Senate Resolution 954 was crushed by a vote of 34-128 after more than an hour of debate. William Langdale of Langdale Vallotton LLP disputed the domain rights. Quarterman challenged Slaughter’s assertion the agreement is in the best interest of the county and is like any other utility. “They’re supposed to represent the people of the County, not the salesman for a pipeline company from Houston, Texas”, says John Quarterman, president of WWALS Watershed Coalition. Exodus 23:2: Thou shalt not follow a multitude to do evil. The WWALS Watershed Coalition, representing the Waterkeeper affiliate for the Withlacoochee, Willacoochee, Alapaha, Little and upper Suwannee River watersheds, filed suit and recently completed court proceedings challenging the legality of the FDEP permit on environmental grounds. The presiding judge did not side with WWALS, recommending FDEP move forward with the permit. WWALS and their attorneys are examining an appeal. Sabal Trail wants to drill under Okapilco and many other creeks in Georgia, plus the Withlacoochee, Flint and Chattahoochee rivers in Georgia, in addition to Floridaâ€™s Suwannee. The Sierra Club Florida Chapter contributed to the WWALS legal fund for their case, following up on the March 2014 joint resolution against Sabal Trail by the Florida, Georgia and Alabama Chapters. Save Our Suwannee also contributed financially, while Our Santa Fe River, Suwannee Alliance for Sustainable Growth and SpectraBusters assisted in other ways, such as by finding witnesses. Without the permit, Sabal Trail cannot drill under the Suwannee River. FDEP cannot issue the permit until this legal case is resolved, and there will almost certainly be an appeal. A Sierra Club of Florida official suggested the change in direction was politically motivated. John Quarterman, WWALS Watershed Coalition president, was not pleased with the change in direction either. “The one government agency actually defending our drinking water in the Floridan Aquifer and the many rivers in Georgia and Florida just stifled itself,” Quarterman said. The pipeline has been the subject of criticism from residents of Florida, Georgia and Alabama since 2013. Local opposition has concerned property rights, with landowners contending Sabal Trail has illegally used eminent domain to get on their property for a pipeline that may not supply natural gas to customers in Georgia. 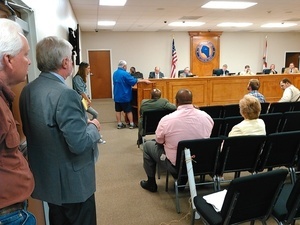 The Lowndes County Commission and the Valdosta City Council passed resolutions in 2014 opposing the pipeline, contending the rights of property owners were in jeopardy because of the pipeline. Georgia landowners and environmentalists were livid. Spectra Energy, the Texas-based pipeline builder, wants to deliver 1 billion cubic feet of natural gas per day from a major trunk line in Alabama to Florida. The proposed route would mostly follow existing utility rights-of-way, a factor cited Friday by FERC in support of the plan. It would also cross under the Chattahoochee, Flint, Withlacoochee and Ochlocknee rivers. Spectra says the pipe will be buried at least 32 feet below any stream…. Georgia’s Department of Natural Resources must still approve an air quality permit for the compressor station. FERC commissioners must also sign off on the project. The U.S. Army Corps of Engineers may weigh in too. GreenLaw is considering a lawsuit. The Sierra Club strongly opposes any oil and gas pipelines proposed for Florida. Currently we are working in opposition to the Sabal Trail Pipeline, a joint venture of Spectra Energy, Duke Energy and Next Era, the parent company of Florida Power & Light Co…. Back in Florida, after the EPA issued its scathing report, the WWALS Watershed Coalition asked a Florida administrative law judge to take judicial notice of the EPA objections. 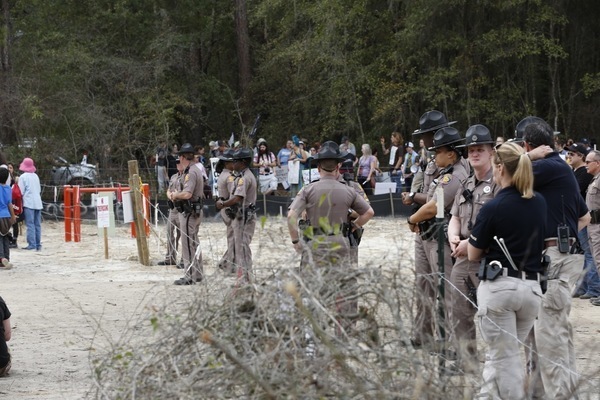 But the Florida Department of Environmental Protection (DEP) joined Sabal Trail Transmission LLC, the company proposing the pipeline, and objected to the judicial notice. The Administrative Law Judge denied the Coalitionâ€™s request and on December 11th, the judge recommended that DEP should issue an environmental resource permit for the proposed pipeline. Carl McKinney’s droll legend refers on his picture refers to WWALS board member Chris Mericle as “Jasper man”. The map shows sinkholes near the proposed pipeline path across the Suwannee River and the Falmouth Cathedral Cave System, at the Suwannee County Board of Commissioners meeting Tuesday December 15th 2015. They did nothing about a further resolution against Sabal Trail, although numerous citizens (many of them WWALS members) from Suwannee County and nearby counties helped discuss the situation. “This was really bold. There was a very detailed analysis of why the pipeline was flawed in the 30-page letter by the EPA to FERC. Now suddenly in a five-page letter, James Giattina (an EPA administrator) throws it all out the window,” Jackalone said Wednesday…. EPA spokeswoman Davina Marraccini said Wednesday that based on the new information and more recent technical review, EPA has concluded the project as proposed addresses wetland-related issues…“EPA expects that the potential wetlands impacts will be addressed in more detail during the permit process and looks forward to reviewing the final mitigation plan during that review,” Marraccini said. The lone government agency with environmental concerns over the planned Sabal Trail pipeline has changed its tune and dropped its objections. In a Dec. 11 letter to the U.S. Army Corps of Engineers, the U.S. Environmental Protection Agency stated that it changed its stance after meeting with Sabal Trail company representatives, reviewing written comments from the companyâ€™s vice president/deputy general counsel and looking â€œmore closelyâ€ at the project…. “This sudden, 180 degree reversal raises the question of whether the pipeline’s powerful investors pulled political strings to get EPA to back away from the objections it raised a few months ago in a letter to the Federal Energy Regulatory Commission,” Frank Jackalone, senior organizing manager for Sierra Club Florida, wrote in an email Tuesday evening. In a message on its website, the south Georgia environmental group WWALS Watershed Coalition, which recently launched an unsuccessful challenge against a state permit for the pipeline, raised concerns about the EPA’s reliance on information provided by Houston-based Spectra Energy, the firm that will construct, own and operate the pipeline, instead of information from groups such as Sierra Club. EPA and Spectra Energy officials could not immediately be reached for comment Wednesday morning. “This sudden, 180-degree reversal raises the question of whether the pipeline’s powerful investors pulled political strings to get EPA to back away from the objections it raised a few months ago,” [Frank] Jackalone [of Sierra Club Florida Chapter] said in an email Tuesday to POLITICO Florida. 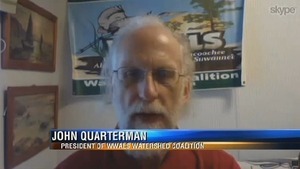 John Quarterman is the president of WWALS Watershed Coalition, which brought the legal challenge forward to try and block the state from issuing a permit. The basis of the lawsuit was that the DEP didn’t do its due diligence in making sure Sabal Trail’s assurances about environmental impact were accurate, he said. Though the agency hasn’t done so yet, it intends to grant the permit. Until it does, WWALS can’t appeal the judge’s decision, Quarterman said. Sabal Trail was treated like any other permit applicant, Quarterman said, according to the DEP’s own statements. However, the Suwannee and Santa Fe rivers, which the pipeline would cross, have a special legal classification giving them higher levels of protection, he added. Environmental group WWALS Watershed Coalition Inc.’s primary objection to the project is the laying of pipeline in what it says is unstable karst terrain unfit for such a project. Such limestone geology is subject to holes, cracks and fissures, as well as sinkholes, which are common in North Florida. However, ALJ Bram D.E. Canter recommended that the Florida Department of Environmental Protection issue a permit for the project [CP15-17], which is a joint venture of Spectra Energy and NextEra Energy Inc. (see Daily GPI, Nov. 21, 2014)…. Canter also wrote that besides four WWALS members whose property would be crossed by Sabal Trail, the concerns of other members of the organizations were generally speculative when it came to how they would be affected by the pipeline. 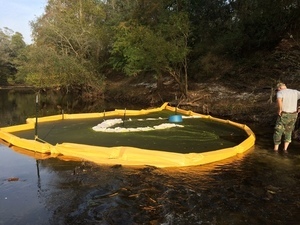 "Although a substantial number of WWALS members have substantial interests in the use and enjoyment of the waters and environment of Hamilton County and Suwannee County, a showing of potential injury to those interests was only established in the record for four WWALS members — the four who own land that the pipeline will cross," Canter wrote. WWALS members are not the first to raise the issue of fragile karst terrain in the path of Sabal Trail. Lawmakers from Georgia have asked the Federal Energy Regulatory Commission to consider route alternatives, mainly to avoid low-income communities but also out of a concern for karst (see Daily GPI, Oct. 27). The U.S. Environmental Protection Agency has raised multiple concerns about the project, including karst (see Daily GPI, Oct. 23). WWALS had filed a challenge in August after the DEP published a notice of intent to issue permits for the Sabal Trail Transmission pipeline proposed by Spectra Energy Corp. and NextEra Energy Inc. The organization expressed concerns about how the pipeline would affect fish and wildlife as well as water quality in the area. WWALS also said its members’ recreational use of the rivers and surrounding area could be affected by the pipeline. Attorney William Wohlsifer, who represents WWALS, expressed frustration at the judge saying that the environmental group had failed to provide evidence about potential consequences of the pipeline. He said the judge had not permitted the group to present evidence regarding safety. The WWALS Watershed Coalition, Inc. challenged a department decision to approve the permit, pointing to concerns about issues such as the project’s effects on wetlands, water quality and wildlife. Canter ruled that the group didn’t have legal standing to challenge the permit but also went further and rejected arguments against the project. But a lawyer representing the WWALS Watershed Coalition said she was waiting for the go-ahead from the group to appeal in state court once DEP issues a permit. She said the group will ask the court to consider the EPA letter after Canter refused to provide a judicial review of it. “A lot of people don’t even know about this pipeline,” said Leighanne Boone, representing the WWALS Watershed Coalition. Boone said Friday that if there is additional evidence, the department should be able to deny the permit. Canter said in his order that the pipeline would be drilled under the Suwannee and Santa Fe rivers to avoid surface impacts and 1.7 miles from Blue Springs State Park in Madison County. The pipeline, at four to six feet beneath the land surface, would cross above the Falmouth Cave system more than 100 feet below ground, Canter wrote. Boone said the WWALS Coalition had its own expert testimony showing there was a reasonable chance of harm as a result of the pipeline going through the region. The Suwannee County Commission adjourned a special Â­called meeting Thursday after it declined to send a letter requesting regulators keep the Sabal Trail pipeline out of Florida and Suwannee County. “The pristine nature of this area should be kept in tact,” the letter states. Commissioners debated the letter at Live Oak City Hall Thursday morning. It would have been sent to the U.S. Army Corps of Engineers, which the pipeline needs a permit from, and the Federal Energy Regulatory Commission…. Commissioner Wesley Wainwright was the first to elaborate on his stance at Thursday’s meeting. “My business depends very heavily on energy,” he said, expressing concerns about how it would be impacted by rising costs. 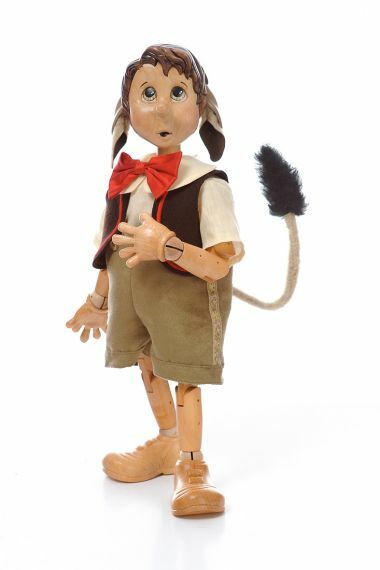 “Natural gas is a viable alternative,” he continued. However, if the other commissioners wanted to send the letter, Wainwright would support it to maintain a unified front, he added. Wainwright said he believes the pipeline doesn’t pose a serious risk to the environment. Environmental groups challenging the nearly 500Â­mile project, which would run from Alabama through Georgia and Florida, dispute that stance, though. 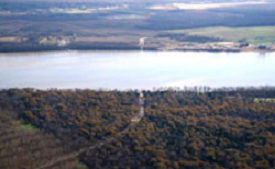 John Quarterman, president of WWALS Watershed Coalition, said in an interview there is no peerreviewed evidence supporting claims it wouldn’t harm sensitive geological areas. It cuts right through Florida’s aquifer, he said, and threatens fragile layers of soluble rocks, which could create sinkholes. “The pipeline would be massively destructive,” Quarterman said…. Area resident Debra Johnson asked the commission for a brief time to speak, which it reluctantly agreed to. Natural gas is not a “bridge fuel” to sustainable energy, she said, but is actually one of the worst greenhouse gases. The pipeline would deliver gas to Florida Power & Light, but there’s another way, she said. Solar power could meet the company’s needs just as well, she added, according to a statement from FPL itself. A proposed port in Tampa could also be a better way to transport energy without threatening Florida’s aquifer, Johnson said. “No matter which way you look at it, that’s what this pipeline does,” she added. The Suwannee County Commission has called an emergency meeting tomorrow, Dec. 10, at 9:30 a.m. to discuss the fight against the Sabal Trail natural gas pipeline. It was originally on the agenda for next week’s meeting on Dec. 15. The meeting will be at Live Oak City Hall, 101 SE White Ave in Live Oak. Commissioners will discuss sending a letter to the US Army Corps of Engineers asking it prevent the pipeline from running through the county. County staff is writing a letter to the U.S. Army Corps of Engineers and the state of Florida, requesting the pipeline not enter Suwannee County…. John Quarterman, the president of WWALS Watershed Coalition environmental group, said he suspects several people will show up to the Dec. 15 meeting. “There are certainly people in Suwannee County and nearby who are worried,” he said. WWALS is featured in that 16 August 2015 Miami Herald story. See also We were told to shut up or quit â€“Spectra Energy whistleblowers. Not one hand raised among the dozens in the room when a county commissioner asked who came to support the proposed Sabal Trail natural gas pipeline which would run through three states and dissect Suwannee County if approved. Tuesday evening, every parking space at the countyâ€™s judicial annex building was full as Oâ€™Brien residents, people from Live Oak and activists and experts from as far as New Orleans gathered at the county commission meeting to voice their opposition to the project. The commission was voting on a measure to send a letter to Sabal Trail Transmission, a partnership between Spectra Energy, Duke Energy and NextEra Energy, asking it to reconsider a controversial compressor station for the pipeline it plans to place in Oâ€™Brien. This week I had the pleasure of meeting dozens of community members in Suwannee County, Florida who are working to protect their community and the drinking water supply for the state. Individuals with the WWALS Watershed Coalition and Gulf Restoration Network walked a section of the proposed Sabal Trail pipeline route within the Suwannee River State Forest. Chris Mericle, a member of Gulf Restoration Network and board member of WWALS, showed the group one of the many active sinkholes along and nearby the proposed route.Chris Mericle shows the group an active sinkhole near the proposed Sabal Trail pipeline route through the Suwannee River State Park. 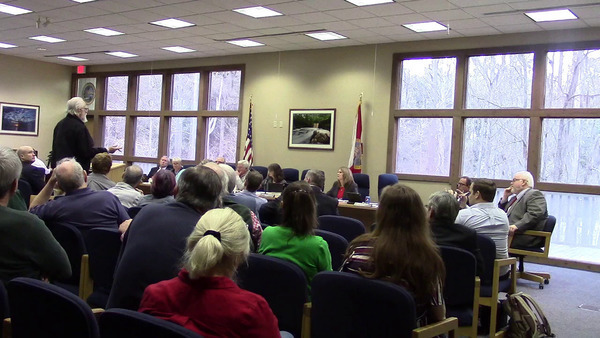 The Suwannee County Board of Commissioners unanimously passed a resolution Tuesday to support moving the proposed natural gas compressor station associated with the Sabal Trail pipeline in their Florida community. When the county commission asked the packed room who was there to support the pipeline and compressor station not a single individual raised their hand. What followed was two hours of testimony supporting not just the resolution, but a complete ban on the compressor station and the Sabal Trail pipeline coming through their backyards. Joe Adgie, Valdosta Daily Times, 5 November 2015, Sabal makes Georgia Water Coalition’s Dirty Dozen (WWALS blog post and another WWALS blog post), In which Spectra Energy’s Andrea Grover claims “The pipeline will not contaminate water or aquifers,” despite Spectraâ€™s own SEC 10-K and Sabal Trail’s own Karst Mitigation Plan. According to the Dirty Dozen report the biggest concern voiced by the coalition, which is a consortium of 228 conservation and environmental organizations, hunting and fishing groups, businesses and faith-based organizations, is that the proposed pipeline could negatively impact the Withlacoochee, Flint, and Chattahoochee rivers, as well as smaller streams and creeks, along with the Florida aquifer, which is considered the regionâ€™s most important water source. 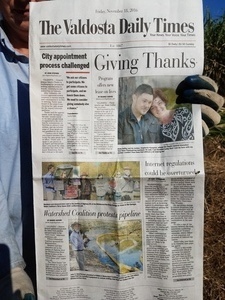 Kristina Torres, Atlanta Journal-Constitution, 4 November 2015, “Dirty Dozen” pollution sites named by Georgia Water Coalition: Sabal Trail is on it again, submitted by WWALS again. After 18 months of debate about a natural-gas pipeline that would tear through a corner of south Lake County, the federal Environment Protection Agency last week unleashed 30 pages of objections, including specific opposition to the line going through the fragile Green Swamp. Finally! Thank heavens the EPA is defending the swamp, the source of much of the state’s drinking water stored in the Floridan Aquifer. How refreshing it is to see what is supposed to be a public watchdog, the EPA, act like, rather than serve as industry rubber stamps like the FERC, DEP and PSC. The Environmental Protection Agency’s comments, outlined in a 26-page letter to the Federal Energy Regulatory Commission, or FERC, left area activists feeling vindicated. 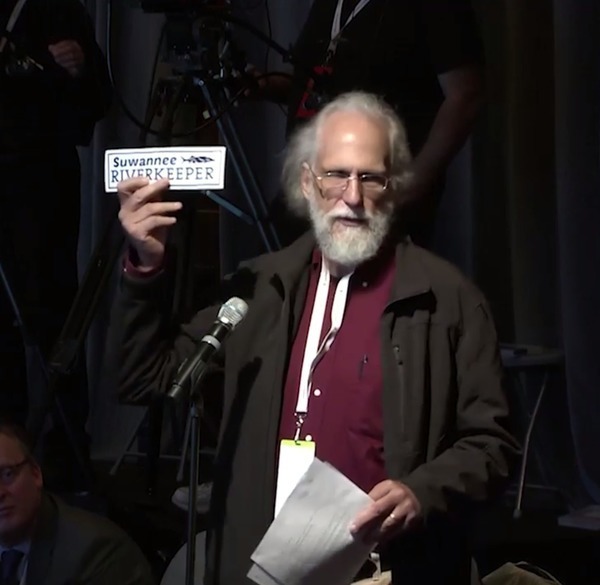 “Two years ago, that was the first thing we said to (FERC). 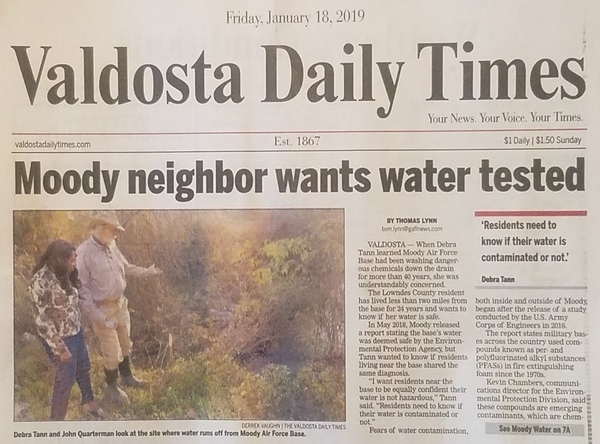 With the aquifer and the karst sensitive areas, this is a bad place to put it,” said Merrillee Malwitz-Jipson of Our Santa Fe River Inc. “It’s nice to get the technical and scientific re-enforcement of what we as advocates have been saying from day one. The EPA strongly recommended an alternative pipeline route and a more thorough investigation…. The Florida Department of Environmental Protection intends to issue an environmental permit — a decision challenged by the WWALS Watershed Coalition, a south Georgia environmental group with members in north Florida. 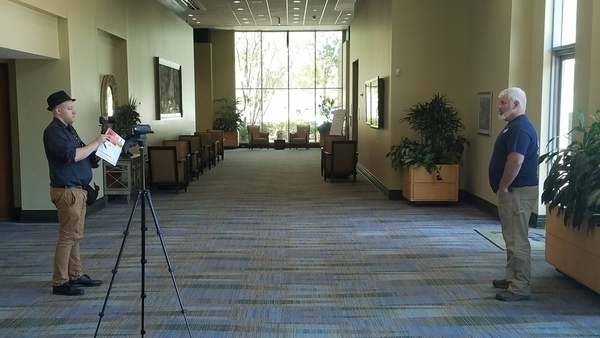 On Wednesday, the WWALS Watershed Coalition and Tallahassee attorneys representing Sabal Trail met in the Hamilton County Courthouse, for the final hearing in an ongoing challenge to prevent the state from issuing a permit for the pipeline route. In issuing the Environmental Resource Permit and Easement to use Sovereign Submerged lands for Sabal Trail pipeline project, the Florida Department of Environmental Protection has apparently relied heavily on the information provided by Sabal Trail and has rubber-stamped Sabal Trail’s permit approval. Just as disturbing is the Suwannee River Water Management District’s inability to meet its statutory responsibility to protect the Districtâ€™s water supply, water quality and natural systems. In an April 18, 2014 memorandum to FERC, SRWMD geologist Carlos Herd and hydrogeologist Dale Jenkins essentially recommended that the pipeline project avoid karst limestone, areas with unconfined aquifer, caves, springs, wetlands, drilling under rivers, blasting, and using District groundwater for testing then disposing of the water afterwards. However, when called to testify Wednesday at the WWALS Watershed Coalition hearing, neither man seemed to recall any details about the memorandum that they co-authored. Did these professionals neglect to review the memorandum prior to testifying, or were they muted by pressure from Tallahassee, where politics now trump established science? How can the DEP and SRWMD possibly be serving the best interests of the people of Florida in such a politicized climate? The Sabal Trail pipeline’s proposed route has it running straight through Suwannee County, from north to south with a compressor station at Hildreth. The pipeline, if approved, will go under two rivers here, by many springs, karst topography areas and right above the Floridian aquifer. We have a lot at stake in this county and by looking at the proposed route, we have a lot of the pipe going through here. So why is it, then, that the Federal Energy Regulatory Commission (FERC) felt the need to hold a public meeting in Columbia County to get public input on the matter and not here nor in neighboring Hamilton County, which will also see pipeline construction if approved? By the way, the pipelineâ€™s current proposed route doesnâ€™t have it going through Columbia County. 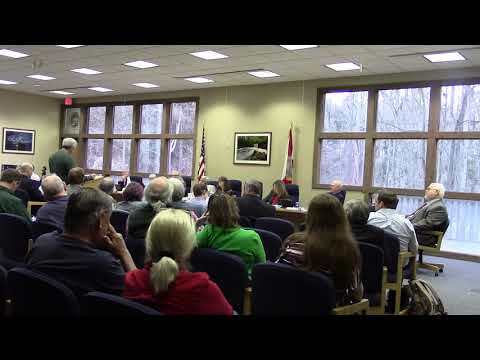 John Peconom, an environmental manager with FERC and one of the authors of the draft environmental impact study regarding the project, stated that FERC was unable to find suitable facilities here or in Hamilton County in which to hold public meetings. 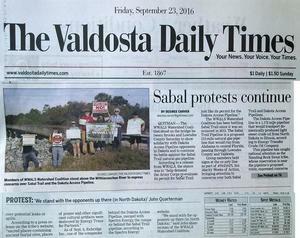 The WWALS Watershed Coalition held a legal hearing this week against Sabal Trail. It was held in Hamilton County. The hearing was going to be held in Tallahassee, but was moved to Hamilton County, thanks to WWALS. By the way, the pipelineâ€™s proposed route doesnâ€™t have it going through Leon County, where Tallahassee is, either. A suitable facility was obtained for this hearing in Hamilton County. Hundreds of residents along the proposed route oppose the project, asserting that rivers such as the Suwannee River as well as springs and the regionâ€™s water supply will be adversely impacted by its construction and operation. “The citizens in the counties this pipeline will go through will get no benefit from this pipeline,” said Deanna Mericle, a Hamilton County resident and member of the the environmental group WWALS Watershed Coalition. This group has an active legal challenge to a pending Florida department of Environmental Protection approval of the project. It’s scheduled to go to an administrative law judge this month. A south Georgia-based environmental group with members in north Florida, the WWALS Watershed Coalition, has an active challenge against that DEP permit that’s been assigned to administrative law judge with Florida’s Division of Administrative Hearings. The Sabal Trail Pipeline has drawn opposition from a Florida group affiliated with WWALS Watershed Coalition Inc., which is based in Georgia. A chief concern is that the pipeline could impact Florida waterways and the drinking-water supply, said John S. Quarterman, director of the Florida and Georgia WWALS groups. FloridaBulldog.org, Dan Christensen, 19 August 2015, You donâ€™t need X-ray vision to see through Gov. Rick Scottâ€™s blind trust (WWALS blog post). Miami New Times, Tim Elfrink, 17 August 2015, Scott backs environmentally dubious pipeline from firm he invested in (WWALS blog post). Miami Herald, Dan Christensen, 16 August 2015, Pipeline company with tie to Gov. Scott and state backing, has history of accidents (WWALS blog post) (quoted in Rhode Island story). Ocala StarBanner, Christopher Curry, 15 August 2015, Georgia-based group hopes to block natural gas pipeline (WWALS blog post). FloridaBullDog, Dan Christensen, 13 August 2015, Pipeline company with tie to Gov. Scott, and state backing, has history of accidents (WWALS blog post). FloridaBulldog, Dan Christensen, 4 August 2015, Gov. Scottâ€™s pipeline investment gets a boost from Florida environmental regulators, by Dan Christensen. DEP says it will issue the permit and easement unless an affected party files a petition seeking an administrative hearing by Friday, August 7. A spokesman for one environmental group, the Georgia-based WWALS Watershed Coalition, said it intends to file a petition by the deadline. Saturday, the park will host canoe and kayak races. You can still sign up to take part in the 3rd annual Big Little River Paddle Event by calling (229) 896-3551. 2015-04-26: Tifton Gazette, BIG Little River Paddle Race in Tifton Gazette. 2015-02-16: Akron Ohio Beacon-Journal Eco-groups continue fighting natural gas pipelines across Ohio, By Bob Downing. But one group has already begun to question that. The WWALS Watershed Coalition Inc., an environmental group in Adel, Ga., has sent a letter to the Federal Energy Regulatory Commission opposing the pipeline. In the letter, the group notes that the U.S. Environmental Protection Agency fined Spectra Energy, one of Sabal Trail’s parent companies, $15 million for spills at 89 sites along another pipeline. “This pipeline brings only hazards and destruction with no benefits to Georgia, and it is expensive and equally hazardous and destructive to Florida,” Dave Hetzel, the group’s president, wrote. “There is no excuse for yet another gas pipeline when solar power is already less expensive, doesn’t require a hundred-foot right of way, emits no pollution, doesn’t use massive amounts of water, risks no spills or fires, and provides cheaper electricity and jobs right here in south Georgia and north Florida. 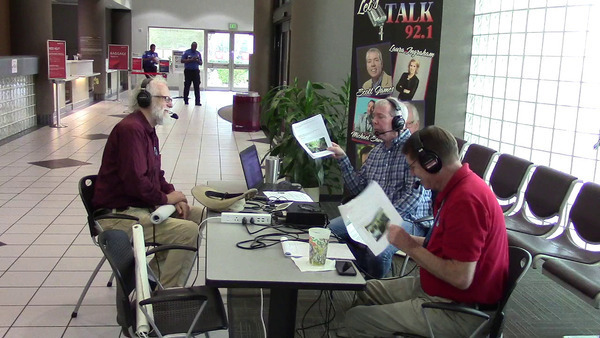 2014-10-27: WWALS Ambassador Dave Hetzel explains the Alapaha River Water Trail on YouTube. 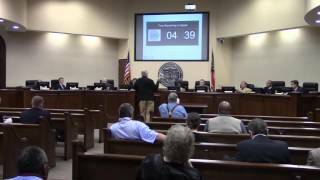 2014-08-19: WWALS President John S. Quarterman discusses the Alapaha Water Trail as a quality-of-life economic development asset at the Valdosta-Lowndes County Economic Development Authority.